FOR IMMEDIATE RELEASE PORTERVILLE – (May 9, 2018) – The Porterville College Veterans Resource Center is soliciting biographies and headshots from people who have purchased bricks for the Veterans Monument on the college’s campus. If people would like this information to be included in a booklet that will be available at an upcoming dedication ceremony for the monument, it should be submitted to pcvetcenter@portervillecollege.edu no later than Wednesday, May 16. Biographies and headshots can also be hand-delivered to the VRC (room AC116) at PC. A digital version of the booklet will be updated on an ongoing basis after the dedication ceremony. The dedication ceremony will take place at 11 a.m. Wednesday, May 23, at the college. The public is invited, and many local dignitaries will be in attendance. 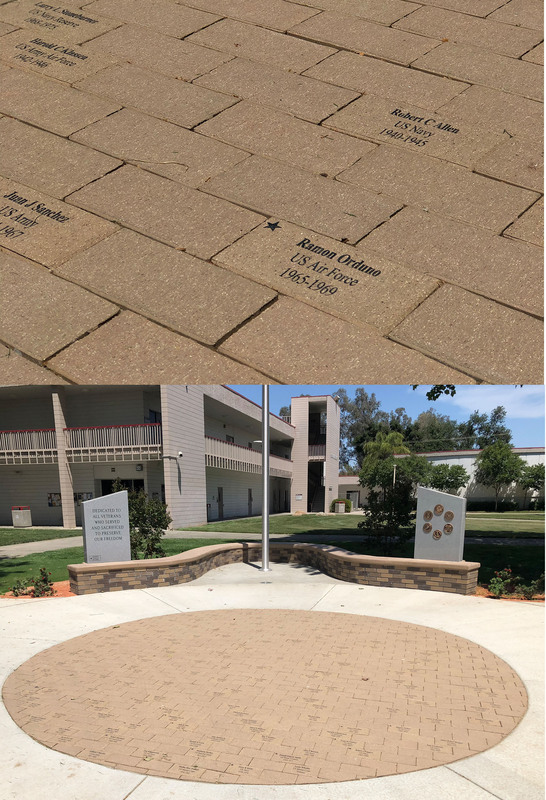 The bricks – called “Honor Bricks” – can be purchased by individuals themselves or to pay tribute to a family member, friend or current PC student veteran. They are still available and cost $110. For more information, email pcvetcenter@portervillecollege.edu or call Leo Ocampo at 791-2222.